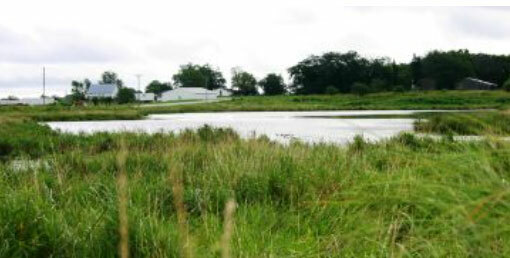 Wetlands are part of the state water quality plan. The state Department of Agriculture has hired three coordinators to help as it implements plans to spend two million dollars in water quality funding approved by the Iowa Legislature. Deputy Ag Secretary Julie Kenney says their plans will focus on edge of field solutions to cutting nitrogen from water. “When we say edge of field it truly is on the edge of a field. So, we’re talking about things like wetlands, saturated buffers, bioreactors things that can treat the water before it reaches streams and ultimately the river — you know has an affect downstream,” Kenney says. She says some of these solutions will be noticeable right away, while others won’t. “In fact if you saw a bioreactor, if you drove down the road and there was a bioreactor there, you might not even know it because a lot of the work is happening underground. Whereas with a wetland you would notice it and it does have a greater impact on the landscape,” according to Kenney. The three new watershed implementation coordinators will help with the process. She says they will focus on the North Raccoon watershed, the Middle Cedar watershed, and they’ve also contracted with Iowa State University to hire a coordinator for the South Skunk River. Kenney says the coordinators give the department boots on the ground to evaluate the situations and make some decisions. “Where we need to have the greatest impacts within those watersheds and then working with farmers and land owners to determine what practice makes sense. Working through some of the design and engineering so that we can scale up those and build more even faster,” she says. Kenney says the additional two million dollars is important in more quickly moving ahead the projects they’ve been working on. “A lot of this work focusing specifically on nitrate removal and nitrogen has been underway since the Nutrient Reduction Strategy was developed five years ago,” Kenney says. “So, we’ve been doing this — these are proven practices — but we haven’t had the resources that we need to scale them up.” The Ag Department will receive approximately two million dollars of the funding this year, four million next year and then more than 15 million dollars annually in fiscal years 2021 to 2029.